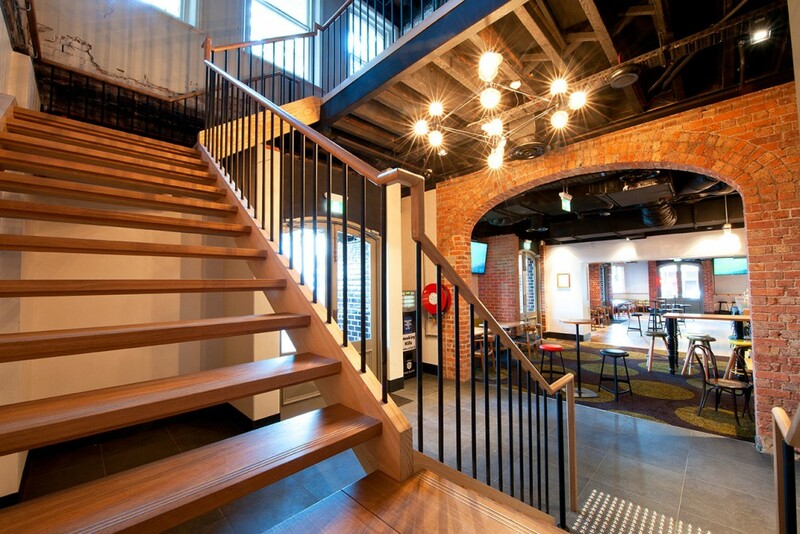 Click here to view an extract from the HIA Guide to the Building Code of Australia relating to staircases. This handy guide, published by the HIA (Housing Industry Association) is designed to simplify and explain Volume Two of the Building Code of Australia (BCA) - The Housing Provisions. It should be read in conjunction with the latest Building Code of Australia. This document is not published by Slattery & Acquroff Holdings Pty Ltd. This document is an extract of a guide to the building regulations on staircases - Slattery & Acquroff Holdings Pty Ltd take no responsibility for any staircases manufactured by any other party. The full guide can be purchased from the HIA. This guide to the Building Code of Australia is intended as a guide only. It contains HIA's general views and opinions on the Building Code of Australia and is not to be relied on in place or in substitution for the Code itself. While every care has been taken in its preparation, it is necessarily a general document and the HIA makes no representation that this guide and the views and opinions expressed in this guide are suitable or appropriate for application to any particular project or any particular work. You should always refer to the Code itself in addition to this guide - and where different - follow the Code. You should be aware that as the Code may change from time to time, and there may be State or local variations to the Code, this guide may not reflect the requirements currently applicable to building work in your area. As HIA cannot foresee all possibly building work situations, or know about all the particular circumstances or individuals jobs, HIA can accept no liability for any loss or damage, however occurring, arising out of the use of or reliance on this guide. Please note that many people are under the misapprehension that there is no longer a requirement for minimum headroom in staircase construction. This is not correct although you could be forgiven for thinking that it was. Nowhere in the actual staircase section of the BCA is there any mention of headroom heights, but for some reason, someone decided to slot that particular regulation in with 'ceiling heights'. So there is a headroom limit and it is 2 meters from the nosing line. We believe that most of the regulations pertaining to stairs and balustrading are reasonable and work to promote safer buildings. Regulations should reflect industry standards and a balance between safety and practicality.